My sincere apologies for the long delay since our last Frozen In Time, but I have continued from where I left off in July. So there will be no skipped time still! Of course this means the list is rather massive. I urge you to take your time, bookmark the page if you must, so that you can give each of these artists their deserved chance. I’ll be away again for the first half of October, so I will try to stay current on correspondences, but if you don’t hear back from me I will be returning soon enough! Reminder of New Physical Address for Submissions! Feedspot has named This Is Darkness as one of the top 15 ambient music blogs in their latest update. We are pleased to be alongside well known and respected zines in the dark ambient world such as Heathen Harvest and Noise Receptor. Hopefully this will help bring some more new fans to the genre! “Time-Lapse City” is the first video single of the upcoming Apoptose album Die Zukunft. “Blade” is the first offering from the new album Whetter which has just released on Malignant Records. This is a side-project of Leila Abdul-Rauf, who has also released a new album on Malignant. The video was created by: Rhea DeCaro. ᚾᛟᚢ II // ᚦᛟᚦ ᚷᛁᚷ is Henrik Nordvargr Björkk and Thomas Ekelund (not to be confused with their other project “Det Kätterska Förbund”). With every repetition of these curses, the emanating energies are multiplied by one order of magnitude. Each current becomes a shining dagger that cuts through the flesh, and bone, and souls of treacherous men. “Satori, continuing a project first started in the 1980’s founding member Dave Kirby brings an onslaught of industrial soundscapes, pounding drums and a dystopian vision of a world commited to destroying itself. The new side-project of Sumatran Black, Ataşehir, is a residential development on the Asian side of Istanbul, Turkey. The titles for Colorful Places to Live and Play are taken from aspirational advertising slogans of various residential developments from around the world. “Atrium Carceri returns with Codex, an album 3 years in the making. Dark drone, industrial beats and brooding choirs set the tone for exploration of a world beyond the illusion. Deep in the roots of the citadel a sea of white robes ever flows. Those Fallen from Elysium kneel here, with blissful smiles and fearful eyes. The sorrowful melancholia of a thousand whispered prayers lies heavy about the place. Prayers for the Demiurge to return, and grant them once more the warm embrace of their paradise. I’ve been following the music of Caleb R.K. Williams and Co. from The Eagle Stone Collective more and more recently. Williams has a pretty grueling release schedule, with something new usually every month. But, unlike many artists rolling through such an enormous amount of material, each album seems emotional, fresh, and different from his previous works. With everything on their label set as “name your price”, it can’t hurt to give them a try! Highly Recommended. Renowned ritual ambient musician Emme Ya has come together with Corona Barathri, a much younger ritual ambient project, which has torn through the scene over the last few years. You can find out some of the specifics about this release in our new episode of The Inner Sanctum! Note: Along with this new release, Cyclic Law has released a re-issue of Deadbeat, which sees a new CD/Vinyl pressing. 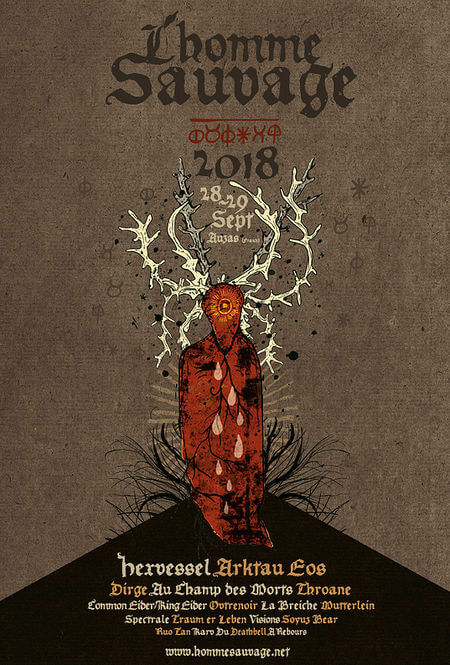 During the winter of 2017 Erik Gärdefors of GRIFT invited DRAUGURINN to perform at his special and unique harvest fest TREDINGSRITEN in Hällekis, Sweden on August 4th 2018. Inspired by the harvest theme, the circles of life and death and – as always – the forces of Nature, DRAUGURINN created an exclusive live ritual for this occasion only. With percussion and meditative chanting, the four songs invites the listener through birth, life and death. Spíra will take you on a journey along the circle of life. Transcend into Spíra and ride the circle of life through the eyes of DRAUGURINN. Maze is a deceptively complex pair of drone tracks. Emerge creates something that balances the lines between dark ambient and noise very well. With contributions by: elektrojudas, Niku Senpuki, Danijel Zambo, Prinzip Nemesis, and Deep. “Endless Chasm hails from Lawrence, Kansas with sonic and ritual explorations into the unknown. Saṃsāra Eternal is a contemplative journey into dark tones merging the organic and the synthetic, almost worshipful with an undercurrent of dread.” Read our new review of the album here. Smooth and highly contemplative melancholic drone ambient with rain recordings. Recommended for fans of Mount Shrine, SiJ, and other field recording heavy drone projects. “A study in deliberately soothing textures designed to give the listener space to find stillness and collapse into rest – late night lullabies. Item caligo is a one-man project of Sergey Epifanov. Based in Volgograd. The tracks “Painful Sleep” and “Wishing Only To Die” parts I & II were written especially for the short film “MER” by Hesam Rahmani. “Recorded in Charleroi, Belgium in 2015 during a video installation with Sandrine Verstraete, the music was created using field recordings, processed guitar and cello and serves as a soundtrack to the video of the same name. Since I first heard Kashya I’ve enjoyed these releases as the last thing I hear before falling off into sleep. The warm drone ambience of this project is always deeply relaxing for me. Laudanum Euphoria is a mind-bending new project from the man behind Embers Below Zero and the Santa Sangre zine. It’s as if he’s blended something like Cities Last Broadcast – The Humming Tapes with Blood Axis & Les Joyaux De La Princesse ‎– Absinthe – La Folie Verte, topped off with some old film samples. Highly recommended and “name your price”! “Debut release from Josh Yelle (KINTAAN, HARD DRUG)’s solo “chamber noise” outfit. Heavily layered, looped, and rhythmic dark ambience is enunciated by the cavernous pounding on the hull of a beat up cello. 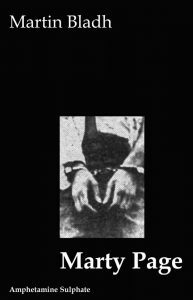 40 minutes of miniature horror film scores devoid of any light or hope.” Purchase cassette here. Ritual dark ambient project Maha Pralaya returns with another devastatingly dark ritual on their latest album Nataraja Tandavam, which is now available on Noctivagant. Recommended for lovers of subtle field recordings and sleep ambient. Warm, inviting and atmospheric. Best enjoyed with a cup of hot beverage on a rainy day. Read our review of the album here. “Timewaves presents moments of history in a flow of eternity. Each moment may or may not be clearly connected with each other. But when examining the past, does not every moment intertwine with some other moments, and suddenly everything is connected with everything in strange and unclear ways. In Timewaves it is clear that those moments presented on the album are bound to civilisation. Is it our civilisation, or someone elses, or just a dream? We don’t know. It may be even a nightmare. All we know for sure is that the clock is ticking. But ticking for what? Good times or bad times? Hope or fear? “Sasha further explores the themes of her collaboration album Earth Songs. While her album Khmaoch explored the roots of civilization and The Edge of Architecture probed into the future of the modern age, Echoes of the Future guides us in taking our final steps to leave Earth. “Ruptured World is the cinematic ambient project of Alistair Rennie (UK), who is also known as an author of Weird Fantasy and Horror Fiction. Exoplanetary features fragments of transmissions amid sonorous and distorted interpretations of narrative events as the mission faces up to the challenges of off-world exploration and the inescapable fact that, on Proxima Centauri b, the human visitors are not alone. The Exoplanetary CD package comes with a documentary booklet featuring a 16-page executive summary of the mission’s objectives and a detailed profile of the planet’s geophysical characteristics, as well as its inherent dangers. Digital Booklet also included with download. You can read our interview here, and our review here. Sana Obruent delivers another hauntingly dark release, this time a ghostly affair entitled Songs about Death and Redemption. The inspiration of this dark ritualistic ambient album has been the story of Ani’s soul passing through the Egyptian underworld – Duat as well as the soul’s voyage in general through the dark realm of the dead, judgement and test. The conceptual background is being expressed in a way which aims to progressively narrate a story regarding the stages of the after-death experience as mentioned in the ancient Egyptian texts which is deeply tied to a wide variety of the mythos and tradition of ancient religions and Orders. Molenbrook, Mossigwell, Zwartewall, Fieldem… places neither here nor there; half in the world, half in the mind. We began this project as an exchange of gestures across the water, a dialogue motivated by mutual respect and revolving around our shared love of the minimal, the graceful and the understated. We completed it on 23rd March 2017 – the day of the Westminster attack, one year to the day after the Brussels bombings. These four pieces have become our personal dedications to the quiet strength of blended culture, free thinking and open borders. Silent Vigils. Finally we see a brilliant new release by the well respected dark ambient project Skadi, founded in 2001 by Alexander Leßwing. The project combines dark ambient scapes with ethnic and ritual passages. In a place where the heart is not allowed to flourish its emotions, darkness will grow. In a place where the soul is not held with care, only emptiness remains. In memory of Dmitriy Vasilyev. Insomnia Drones seems to share similarities to both the drone heavy releases like Fathoms as well as the more field recording laden Signal to Noise, beautifully melancholic, highly recommended, under-rated artist. “Reverse Alignment has always been about making good relations and keeping artists long term. It seem to have been working with Taphephobia at least. Leaving the ship when moving to Greytone in 2010 and leveling up to Cyclic Law 2013, the guy behind the strings; Ketil Søraker, returns once more to the label. We´re happy to see Taphephobia prosper, happy to meet again with a dear old friend. Inspired by the beautiful wildlife sounds and pictures of Glacier Bay. And the commitment of NPS to preserve nature. Stop global warming! It is generally believed that noise is the creation of human hands, while nature is even more full of noise simply of a different kind. Such an actual problem of “sound ecology” as opposes urban noise to either sounds of nature, or just silence – while silence in nature is not so easy to find. This record can be considered a non-dualistic approach to this problem. This album, in the best traditions of drone music, consists of one track made of field recordings. Night rustles and bird trills collected in the woods near Ivanovo, Russia, remote city hum and agricultural works in the Crimean steppe, recordings of bird nests in an abandoned feed mill and all sorts of audio situations along the irrigation canals of Crimea – all this is repeatedly layered on each other and built in gradually developing composition. Presence of Noise is not a verdict but a reality within which we exist. The fact that nature is full of noise does not negate the problem of “sound pollution” of the urban environment, but gives an illustrative example for the reconstruction of urban acoustic environment “in the image and likeness” – striving for softer forms, smoother corners and fluent transitions of the acoustic landscape. Infinity of aural interpretations in the simplicity of everyday noise. “God is always the shadow and the nightmare of the human being,even though we’ve have just passed the post-human phase. Despite our civilization level,religion is surviving and give us our daily fear towards life and death. “Death Chamber Musick” is an anti-religion sound collage composed by seven spells,recorded with (un)sacred reversed samples,ruined organ and anguishing synths. The pessimistic and blasphemic mood reign in this new record,where the catholic religion and the figure of the suffering Christ are the mirror of the human destiny. “Having previously released the full length Opalescent Pust on our label, the Portuguese sound sculpture VelgeNaturlig returns with an album of deep, immersive ambient drones – Kundalini. On Kundalini, Ivo Santos presents us with an album, layered with a rich tapestry of dense drones, reverberating sub-bass and circulating processed sounds, cleverly woven together with field recordings. As with most, if not all of VelgeNaturlig’s work, on Kundalini the tracks flow together as one, creating vast musical landscapes to traverse within the minds eye. The music weaves an infinite pathway between the light and the dark, sometimes isolating but always keeping the listener engaged. “Antechamber’s debut explores the ghost architecture of industrial music, etheric and oppressive in its suspension. The newest alias from Mahk Rumbae a.k.a. Codex Empire and one half of Industrial act Konstruktivists, Antechamber sees a spacious almost dub influenced realm being explored, a dark-ambient nether in which lurching rhythmic giants consume the fragments of their composition, as though some military exercise had arrived at the collapsed edge of history and remained forever there suspended, war-games in the ether, anodic purgatory. Debut of Atmospheric-black-metal inspired by Brutalist architecture from Terence of Locrian. Full-length The Charged Void available 2019 from Annihilvs and Cloister Recordings. 306 recordings is proud to present Inverted Horizon by Clearlight & Owl. A deep piece of ambient music which takes you into your deepest thoughts, traveling between darkness and enlightment. A total of 10 tracks spanning 68 minutes, which take you to the deepest, darkest & inverted horizon. Ionophore is the project of the Bay Area/London-based multi-instrumentalists Leila Abdul-Rauf, Jan Hendrich, and Ryan Honaker. The trio weave dark electronics and neoclassical soundscapes with heavy drones, seamlessly melding the orchestral strings of Honaker, the horns and voice of Abdul-Rauf, and electronic interpretations of Hendrich. Whetter is the follow up to 2016’s well-received Sinter Pools, and continues along a similar trajectory; gauzy, ethereal ambience augmented by late night textural smear, rhythmic pulsations, and abstract, affected glitch, drifting in and around and through each other in hazy patterns, warm and enveloping, pulsing and reverberating, an indistinct blur… almost tangible, but ineffable. No Future Vol:2 shows a more beat-driven, slow-tempo, bass-laden version of what we know from Keosz’ Cryo Chamber releases. The production of this one is really epic, highly recommended for late night driving or other inward adventures. “to those who enjoyed michael idehall’s ‘prophecies of the storm’ release on ant-zen, raubbau is proud to present a further outing of this outstanding artist’s self-coined ‘seancetronica’ sound exploration – a one-of-a-kind combination of death industrial, apocalyptic tunes with a subliminal song structure and dark, structured ambience. once again the swedish producer/performer evokes a crude, vicious force carrying intense tempers of menace, aggression and sadness with a strong streak of esoteric themes and personal poetics shaping the mood and tone. Similar to the above release by Keosz, we have a side-project of a well known dark ambient artist, (in this case Morego Dimmer of Xerxes The Dark) creating crystal clear production on glitchy bass-laden tracks, predominately with accompanyied by various percussions. 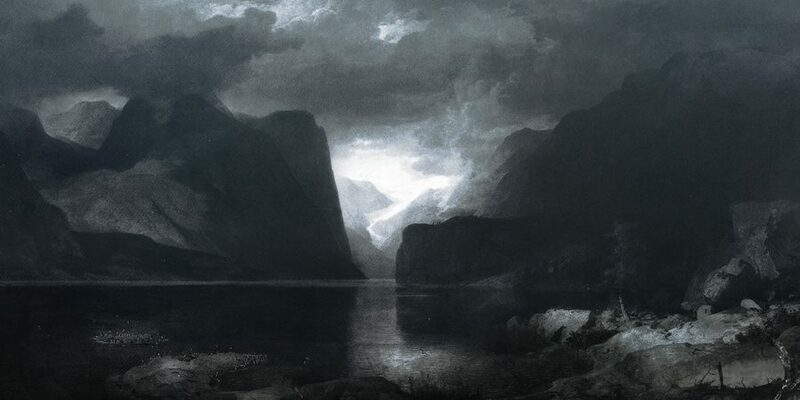 For the dark ambient fan, this (along with Keosz) is an album that will be perfect for those times when you want to hear something much more active, but don’t want to sacrifice the brilliant craftsmanship of a top-notch dark ambient artist. Highly recommended. Fifth full length album by Paleowolf. Archetypal stands as a powerful, monolithic fusion of ancient prehistoric archetypes that have been shaping and challenging Mankind since its dawn of the planet. Powerful and energetic tribal drum-works are pumping the adrenaline and awakening the inner strength of a Warrior, Shaman and Survivor archetypes. Shamanic chants and voices that echo through timeless caves and archaic forests are calling and praising the divine forces of Nature. The tribe grunts and shouts to charge the collective body, mind and spirit with the eternal energies of the Wilderness. As the charge completes and fires slowly extinguish, the ancestors enter the Old Dream, while moonlight is reflecting the shadows of giant megaliths in the distance. Archetypal is definitely one of the strongest and most intense Paleowolf releases so far. 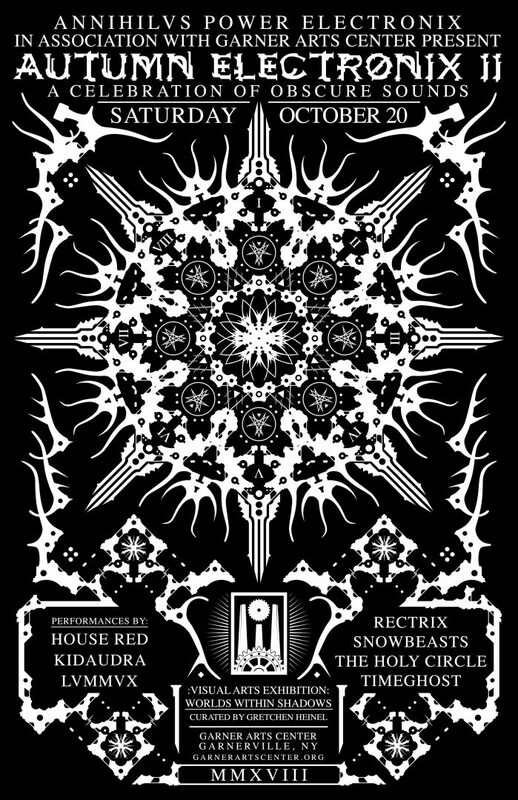 An interesting combination of a lot of different styles which the artist describes as: “Pan-Dimensional Night Bass, for Silver Cord Cutters and Mystery School Dropouts.” This seems about right. Definitely should be a nice midnight drive soundtrack.